December is one of the most beautiful periods in the year due to winter holidays. During this period, the majority of people spend with family and those who went outside the country, returned home a few days before the holidays. Many tourists, collaborating this month with the company car rental so that he could move during the holidays in Romania. 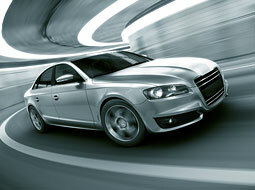 This month companies to hire is very popular, so it would be ideal to get car rentals at a time. Many people make orders for December and two to three months before you get into the country to take advantage of rates lower than those applicable to reservations made for one or two days before. If you haven't booked a car in advance, there is a possibility you have the unpleasant surprise not to find cars that are available in this period, and if you find the prices will be much higher. For this month, if we traveled, it would be good to choose an economical car with low fuel consumption. It is also important that in the moment when you will receive a car from a company representative that offers car hire carefully check the condition of the tires, which should be in the winter. If you travel in mountainous areas or on roads covered with snow, it would be ideal to rent and chains they can be put on sentiment in the Agency car rental. This month should be very attentive to the observance of the rules of operation and the speed with which to move. The most important rule of driving in cold periods is compliance with the speed set on the roads, covered with ice, it is necessary to continue driving at low speed. If you do not observe this rule no matter how well pricepeti will be to the head, or what security has the car set you will lose steering wheel control. It would be ideal to proceed very carefully, without franati or suddenly change the direction of drive of the vehicle, on roads covered with snow and ice being used a lot, brake motor. It is also important to reduce speed when entering curves in. If the speed is not low, will not be useful nor the best winter tyres and no snow chains. You have the option of mounting the tires on some covers or goals, they can be useful on roads covered with ice, but if you entered the path, which is not covered with snow or ice, they should be removed the wheels because of wear very quickly. It is very important to maintain the optimal distance and the person on the car in your face because they can slow down dramatically, and if you don't have an optimal distance you can lose control of the steering wheel. At a speed of about 50 km per hour, the road is covered with snow, if it franati suddenly the car will stop after about 30 meters. If you will go in a long way it would be nice to have a tank car full, in order not to remain without fuel in the case of the tube in the tube. If you have any problems with the car that you rented, we advise you to contact the company from which you took the car. We wish you a good trip behind the wheel of a car without a part of the events, unpleasant incidents.